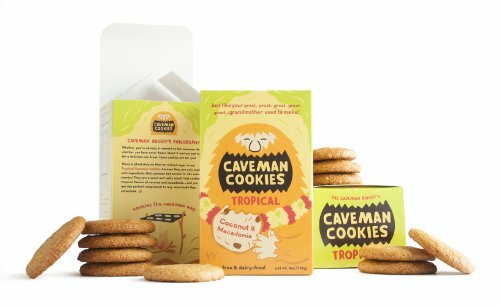 Tropical Caveman Cookies are made with ingredients that tropical cavemen might have enjoyed, such as coconuts & macadamia nuts. They are the perfect nutty and sweet tropical treat for a caveman lounging on the beach. 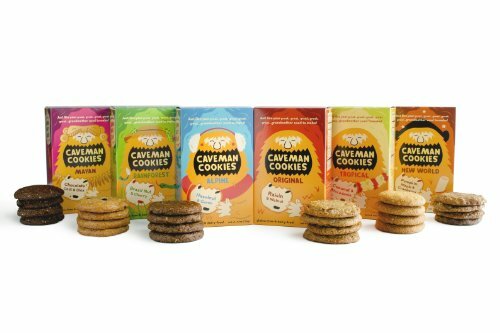 There are 8 delicious Caveman Cookies per package. Enjoy! 1. What are the ingredients of Tropical Caveman Cookies? 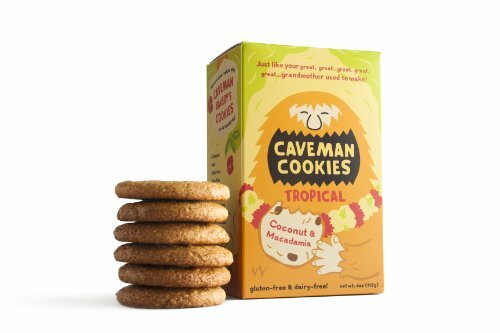 Tropical Caveman Cookies are made with almond flour, organic honey, unsulfured coconut, macadamia nuts, and ginger. That's it! There are no other "hidden" ingredients. 2. What kind of honey do you use? We use organic honey that is certified by "True Source Honey" to come only from reliable, ethical and quality sources. 3. Are the cookies peanut-free? Yes! They are peanut-free and produced in a peanut-free facility. 4. Are your cookies gluten-free? Yes! 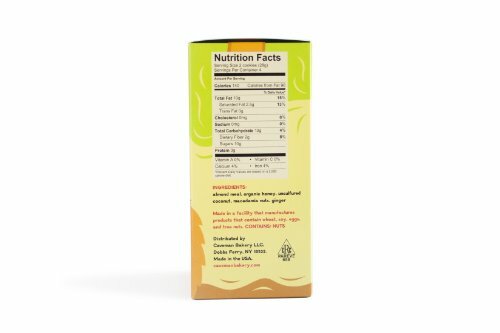 Our cookies are made entirely with gluten-free ingredients. While they are produced in a facility that uses wheat, we take care to protect against cross-contamination and test our products to make sure they fall well within federal guidelines. 5. How long will my cookies last? Honey is a natural preservative, so our products have a shelf life of one year. However, to keep your cookies chewy and delicious, we recommend that you store them at room-temperature and in a dry location. 6. What size are your cookies? Tropical Caveman Cookies are approximately half an ounce each. Their diameter varies between 2.25 to 2.75 inches depending on how they spread in the oven. Paleo Gluten-Free & Grain-Free Dairy-Free No Refined Sugar or Preservatives Chewy and Delicious!